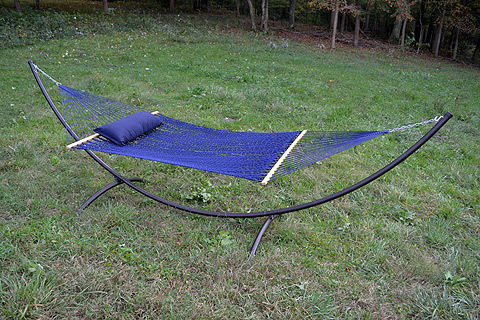 This 15'-4" long hammock stand is made from heavy duty 14 gauge steel and has a powder-coated finish. 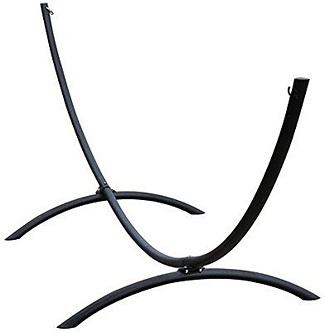 The curved round tubes make a design statement while providing stability, with a capacity rating of 450 lbs. 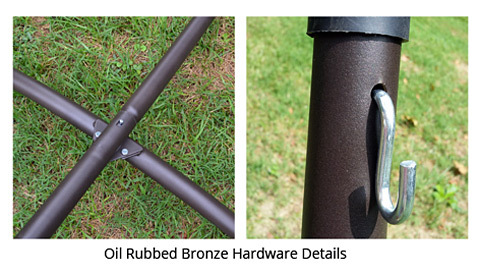 It assembles quickly, with only 2 - 9/16" wrenches required (or 2 adjustable wrenches). Ends come with rubber caps for safety and durability. 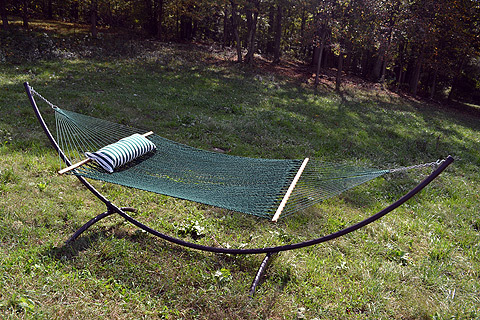 Ensure ample space is available for this 15'-4" long stand.